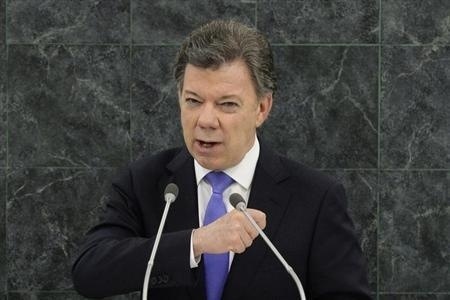 Juan Manuel Santos Calderon, President of the Republic of Colombia, addresses the 68th United Nations General Assembly at UN headquarters in New York, September 24, 2013. (Reuters) – The “war on drugs” has not been won, Colombian President Juan Manuel Santos told the United Nations on Tuesday, exhorting the world body to add teeth to a special session on drugs in 2016. “Right here, in this same headquarters, 52 years ago, the convention that gave birth to the war on drugs was approved. Today, we must acknowledge, that war has not been won,” Santos told world leaders at the U.N. General Assembly, referring to the Single Convention on Narcotic Drugs of 1961. Colombia is the world’s largest exporter of illegal cocaine, despite an intense crackdown on guerrilla armies that have intertwined themselves with drug cartels. 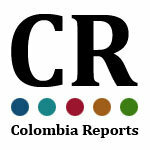 Armed conflict in Colombia has killed more than 220,000 people in the past 50 years, Santos said. He challenged Colombian guerrillas who have joined forces with drug traffickers to respond to his government’s overtures to end the armed conflict through dialogue and said failure would condemn his South American country to many more years of bloodshed and pain. Santos made similar statements about the failure of international cooperation to fight drug trafficking last year at the Summit of the Americas, when the Organization of American States was commissioned to study new approaches to combating illegal narcotics. The studies were delivered in May, Santos said, proposing that the United Nations give them serious consideration in time for a so-called Special Session on Drugs in 2016, proposed by Mexico and accepted by the world body. Last month, Santos said he was ready to start peace talks with the smaller of Colombia’s two leftist rebel groups, the National Liberation Army (ELN), to try to end half a century of war. His government last year opened peace talks with the Revolutionary Armed Forces of Colombia (FARC) and though the talks have been turbulent at times and progressed slowly, neither side has walked out. Without naming the rebel groups, Santos also called on the FARC and the ELN to seize what he termed a historic moment. “The guerrillas will have to decide whether they opt for an honorable and long-lasting peace, or whether they will insist on the war,” Santos said.